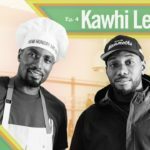 Does LeBrons’ Move West Provide Toronto with a New Opportunity? 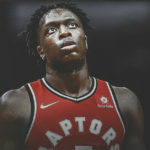 For the Toronto Raptors, the past 3 seasons have all ended in the same fashion: A playoff loss at the hands of LeBron James and the Cleveland Cavaliers. 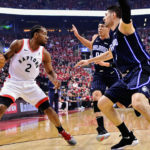 The Raptors have gone a combined 2-12 over the course of these series, and have suffered numerous blowout losses where LeBron seemed to be toying with his hapless rivals. Now, with James off to Los Angeles, the Raps will no longer play the Washington Generals to LeBron’s Harlem Globetrotters. With a strong team that won a franchise-record 59 games last season, it would seem that the path towards a first-ever Finals appearance is now clear. However, despite the ongoing mass exodus of talent westward, a few threats remain in the Eastern Conference. The Celtics took Cleveland to the brink of elimination in the Conference Finals, and that was without all-stars Kyrie Irving and Gordon Hayward. Now, they appear to be on the verge of something special, provided they can get to full strength. A healthy Celtics lineup is a force to be reckoned with and, scarily, one that should only get better. Boston boasts tremendous depth with all-star Al Horford joining the aforementioned names, combined with still-improving youngsters Jayson Tatum and Jaylen Brown, who are already very good. Terry Rozier, Marcus Smart, Aron Baynes, Marcus Morris and Greg Monroe should also be capable contributors to a team that appears set up to contend for the next 5 years, at the least. 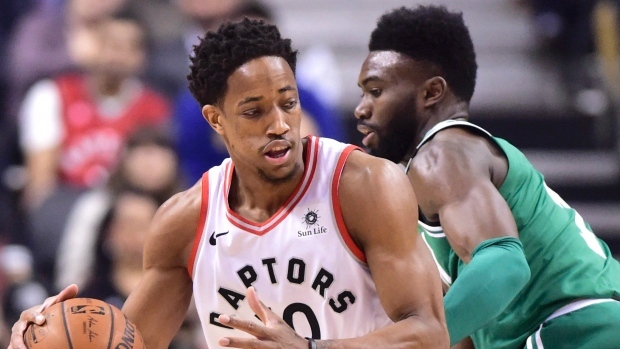 As the Celtics are still green (pun intended) and could take some time to get back to 100 percent, Toronto should have decent shot at defeating them in a playoff series. They went 2-2 against Boston last season (make of that what you will), and have young talent of their own (primarily on the bench) that can still get better. Much depends on if Nick Nurse can bring out the best in the Raptors, or if Dwane Casey was really the best option for Toronto. Head-to-head matchups against Boston will be interesting this year. With Kyle Lowry and DeMar DeRozan still in their prime, Toronto’s Finals window is open. However, it could be closing in a few years. The 76ers are a similarly young team. 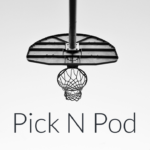 They are led by Joel Embiid and Ben Simmons, two of the elite under-25 players in the game. As of now (depending on what happens with Kawhi Leonard, etc. ), they also boast former No.1 pick Markelle Fultz, and the emerging Dario Saric. Combine these youngsters with excellent role players Robert Covington and J.J. Redick and you have a legitimate contender right now, never mind in 5 years. Provided they can stay healthy, Embiid and Simmons figure to be all-star game fixtures for the next decade. Guys like that are what take teams to the next level. The question is, are they already there? Just like with the Celtics, Toronto seems to have a reasonable shot at beating Philly this year. However, they likely won’t be able to keep up for long. The next year or two could be the Raptors’ last chance to break through. By 2020 (when Lowry’s contract expires), DeRozan will be 31, while Lowry will 34. The Celtics and the Sixers are moving in the other direction. On a side note, there are still other teams in the East. The Bucks could make some noise, depending on if they can put the right players around Giannis Antetokounmpo. The Pacers were a nice surprise last season, and have made some moves in free agency. The Wizards have a star backcourt of their own, although the Raptors have already beaten them once. 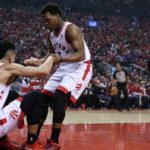 With the East now up for grabs, it is imperative that Toronto grasp their opportunity while it still exists.